In 2012 an iPad Lab enrichment program was started with the purchase of 19 iPads. To date, the lab has continued to grow, providing teachers and students a daily opportunity to utilize new technology and iPad applications as an extension to their classroom learning environment. 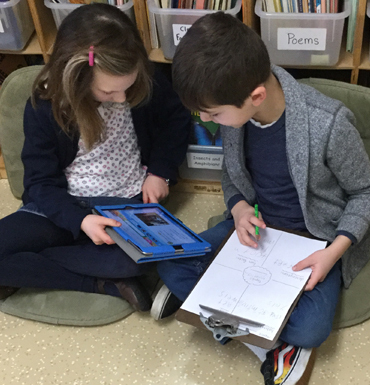 This year, each First Grade classroom was granted 7 new iPads.